Why did Rep. Virginia Foxx give $5,000 to the campaign of first-time Federal candidate, Wisconsin Republican Glenn Grothman? He won his recent campaign for Congress. 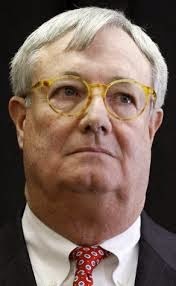 Of course, Virginia Foxx can give money to anyone she pleases, though according to the Federal Elections Commission, which is investigating newly elected Glenn Grothman's election filings, she can't give $5,000 to Grothman, at least not in the name of Foxx PAC, her "leadership PAC." Definition of "leadership PAC": a legal way, set up by members of Congress, to make friends in Congress while also making money. It's our American form of high-level baksheesh. Okay, the technical wrongness of the contribution to Grothman is just an understandable foul-up. We'll grant that. 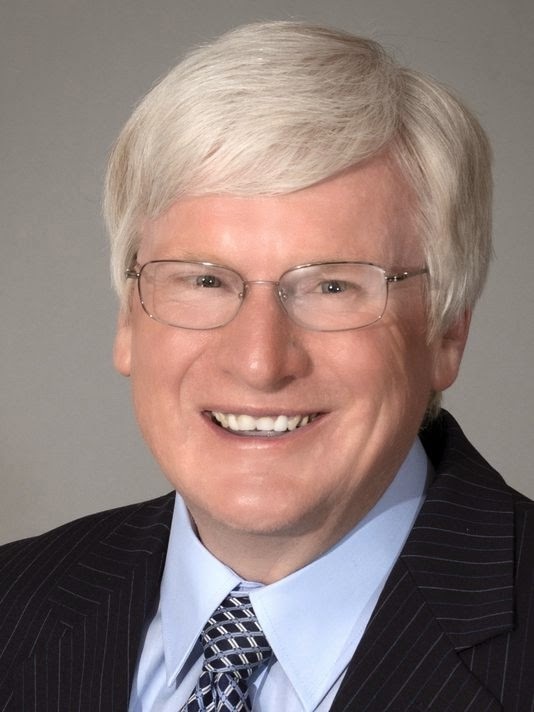 But the question remains: Why Wisconsin's Glenn Grothman? Pope Francis has declared that 2015 will be the year of the climate, as far as he's concerned. He's gonna encyclicate about the need for a strong climate agreement at the Paris world summit next December. ...The only group Francis has offended are climate-change deniers .... Here in the U.S., Catholic climate-deniers like House Speaker John Boehner will have to reckon with Francis' call. Evangelical Christians have already warned that they will protest it. “The pope should back off,” Calvin Beisner, spokesman for the conservative Cornwall Alliance for the Stewardship of Creation, said. 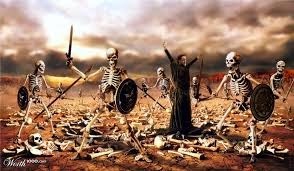 Ready for a throw-down over human activity v. the longevity of the Earth? Not many thinking people doubt that global climate change would be a sticky wicket. So let's have that fight. "In this corner, and wearing the hair shirt, Pope Francis, leader of 1 billion Catholics...."
My money's on the scrappy little Argentinian priest, and on the good sense of the majority of the people. Wow. The three-judge panel in Raleigh has granted the Town of Boone's motion for preliminary injunction in the case challenging Sen. Dan Soucek's "local" law taking away Boone's ETJ. The court acknowledged that the Town of Boone is likely to succeed on the merits in this matter. So Boone's development rules will continue to apply in the ETJ past this Wednesday. Jimmy Broughton, who once upon a time was Sen. Jesse Helms's chief of staff. He's being paid $130,000 per annum to try to control Pat McCrory's hyper-active mouth. He'll start on the job on January 5, way too late to help McCrory get free of the Tree.com $185K pay-out scandal, among other embarrassments. Broughton's real job will no doubt include combing the political cockle-burrs out of McCrory's once shiny fur in preparation for the Westminster Dog Show of the 2016 elections. In a unanimous -- unanimous! -- decision released today, the 4th U.S. Circuit Court of Appeals has blocked enforcement of the state’s pre-abortion ultrasound law, finding that it violates the First Amendment rights of physicians who provide abortions. "I followed the instructions on all the questionnaires. ""I've been very up front in my documentation." "I have followed all the rules and regulations required of public officials." "We did nothing improper. We did nothing unethical. We followed all the rules of North Carolina." "I've been filling those ethics forms out for 20-years." "We have followed what the form requested. We have been very transparent." Gov. McCrory failed to report ownership of Duke Energy stock on his 2014 Statement of Economic Interest (SEI). Gov. McCrory failed to report over $185,000 of dividend income from Tree.com on his 2014 SEI. And Gov. McCrory failed to report his membership position on the board of directors of Tree.com on his 2013 SEI. This was yesterday ... the Associated Press investigation uncovering the fact that Governor McCrory took $185,000 from a company his administration is supposed to regulate after he took office, and he didn't disclose the money when he had the opportunity to do so. Apparently, the AP story stung, because the governor's office has issued four statements/press releases in the last 24 hours, all of them attacking the press for reporting what is indisputable. One of those press releases was a particularly immature, cherry-picking assault on the AP reporter which attempted to deflect the investigation by ignoring context. RALEIGH -- On Tuesday, the Associated Press published an investigation into Gov. 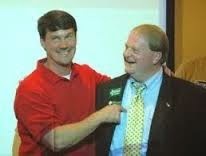 Pat McCrory’s $185,000 payout from a controversial mortgage broker shortly after taking office. Just 18 days later, McCrory appointed the director of the State Banking Commission as well as eight Banking Commissioners -- which raises red flags about why the payment was not mentioned on the governor’s ethics disclosure. In response, Gov. McCrory took the tired approach of blaming the messenger and asking for more money instead of taking responsibility for his conflicts of interest and undisclosed payouts from Tree.com. He also released a “fact-check” of the AP story which attempts to further cloud an already-complicated issue and take the blame off of McCrory. That’s why Progress NC Action is “fact-checking the fact-checkers” to give you the real story -- not just the political spin from a desperate governor facing serious allegations. 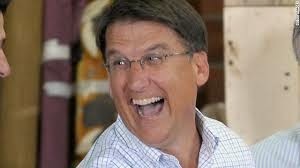 WHAT THE AP LEFT OUT: Governor McCrory properly filled out his ethics statement as required by law. That source of income was previously listed in another part of the 2014 SEI form; therefore, the form is in compliance with the State Ethics Act (See NCGS 138A-24A3). The AP Report Includes the Specific Disclosures McCrory Failed to Make in Contradiction to his Claim it was Left out: “On his forms covering 2013, McCrory didn't disclose his $14,438 in fees and cash dividends from Tree.com. The forms specifically ask officials to include stock dividends and fees exceeding $5,000.” (AP, 12/16/14) Specifically, Question #10 of the 2014 Statement of Economic Interest directs filer to list each source of income over $5,000, and the question specifically lists dividends as a separate source. McCrory does not list receiving fees or dividends from Tree.com in 2013. AP CLAIM: “However, more than a dozen securities lawyers and ethics experts told The Associated Press that such stock payouts are uncommon for elected officials, and raise significant concerns. These experts gave differing opinions about whether laws were broken. WHAT THE AP LEFT OUT: What “securities lawyers” and what “ethics experts?” Name them. Not one “expert” was named. These same “experts” said that such stock payouts are uncommon, but it's the standing board policy of Tree.com to make these payouts. Do these “experts” know that this was Tree.com's policy? Doesn't sound like it. WHAT THE AP LEFT OUT: This is an outrageous accusation and this is absolutely incorrect – it is a false statement and was printed and published with malice. 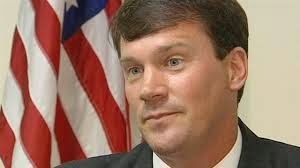 The AP is saying that the governor is under federal investigation and that is 100% false. Neither the governor nor anyone he hired has been subpoenaed as part of this investigation. AP CLAIM: “McCrory declined requests for an interview. In a written statement McCrory spokesman Josh Ellis said the governor fully complied with state law and "continues to uphold high ethical standards." WHAT THE AP LEFT OUT: The AP reporter who wrote this story had dozens of chances to interview the governor. On one single occasion after letting the governor's office know about this story, he had 15 minutes of the governor's time with 3-4 other reporters where he asked two questions that weren't related to this story. WHAT THE AP LEFT OUT: What the AP fails to mention here is that the governor did nothing wrong, nor has anyone accused him of doing anything wrong, and he fully complied with state ethics laws. WHAT THE AP LEFT OUT: The governor answered the question (19a) correctly as it was plainly written. The State Ethics Commission recognized that the form needed to be changed and voted at the last commission meeting to rephrase the question on the 2015 SEI form. WHAT THE AP LEFT OUT: The governor properly disclosed what he was required to by state law. 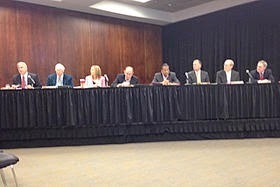 A six-person committee of the University of North Carolina Board of Governors (BOG) is weighing the fate of three research centers at Appalachian State University as part of a much larger review of some 34 centers across the entire University of North Carolina system. Savvy observers have noticed that many of the targeted centers study groups and issues that are anathema to Art Pope and the Civitas Institute. All 32 members of the UNC Board of Governors were appointed by the Republican pooh-bahs in the General Assembly. The six-member "hit squad," drawn from those 32, are all Republicans, save one who is unaffiliated. 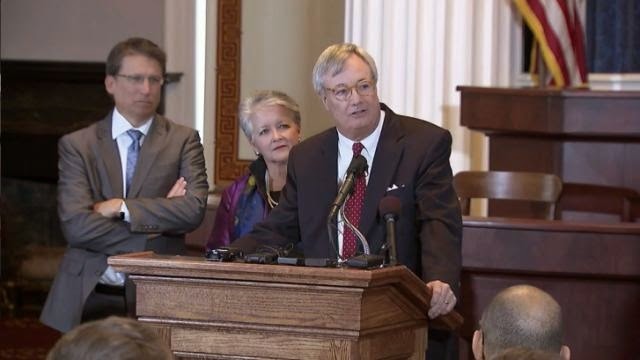 These six people will issue recommendations next month, at which time the full BOG "could choose to validate these centers, cut their funding, roll them into existing university departments or disband them entirely." Three research centers at Appalachian State University are on the list of 34 for intensive review. Two are housed in the ASU College of Business: Brantley Risk and Insurance Center and the Center for Economic Research and Policy Analysis. The third is much more central to the disdain of the Civitas Institute: the Research Institute for Environment, Energy and Economics, where there's a heavy emphasis on alternative energy and "sustainability," ancient bugbears to the market fundamentalists at the Civitas Institute. We'll know in January just how free of "political agenda" the hit squad was. Meanwhile, at other UNC institutions, research centers that focus on women, native Americans, poverty, economic equality, civil rights -- they're also awaiting their fates. As their missions seem "counter to the agenda of the Republican-controlled state legislature," as Sam DeGrave wrote, the personnel at those research centers might best be looking at job openings in other states that haven't yet turned backward. Don't you just love the smell of sweetheart deals in the morning? In the months after receiving his $171,071 payout of stock from Tree.com, McCrory appointed the state's banking director and a majority of the banking commissioners who regulate mortgage brokers. Some of Tree.com's payments to McCrory and Sanford weren't publicly disclosed until May 2014, when the company filed its 2013 year-end proxy statement with the U.S. Securities and Exchange Commission. McCrory is now dodging the press. Soon we'll be hearing about how he's out stepping on toes all over the place. Though many ETJ residents who spoke during the public hearing mentioned large college student apartment complexes as a major concern in their ETJ neighborhoods, the moratorium does not apply to large college student apartment complexes, nor to single-family and other multi-family residences. Perhaps that's why there was no pushback at the public hearing from big developers. None of them are planning to build any of the above, when the big money is to be made from renting space to college students. Even Phil Templeton piously said he was in favor of this particular moratorium, because it clearly does not apply to what he has in mind. Of course, this moratorium could be quickly mooted by the three-judge panel in Raleigh that is considering the town of Boone's legal challenge to Senator Dan Soucek's ETJ power-grab. Jeb Bush Comes Out of the Closet. But ... Oh My! Jeb Bush finally 'fessing up that he's "considering" a run for president ... the great promoter of Common Core. Wait until the folks find out about how he's been laying the groundwork to create "a borderless international society" via Agenda 21. 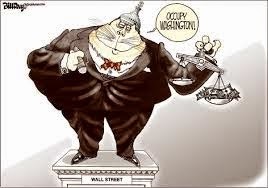 You rolled the president again, got rid of a part of Dodd-Frank in the "cromnibus" so you can once again take huge risks on derivatives and get a guaranteed government bailout when everything goes south. Sweet! You bet that Virginia Foxx voted for The Omnibus All-the-Crap-You-Can-Eat Budget Bill. She does not buck the establishment. The rest of the Republicans in the North Carolina delegation voted "yes" too, except for Walter Jones (who does buck the establishment, regularly) and Mark Meadows, the tea-bagger from the NC-11. Also voting "yes"-- and it's a puzzlement -- was Democrat David Price. The other three Democrats from North Carolina -- Alma Adams, G.K. Butterfield, and even Mike McIntyre -- voted "no." Since the Omnibus Crap Fest needed 218 votes and barely got 219, we've decided to blame everything on David Price. 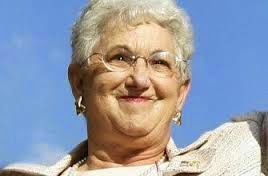 Or Virginia Foxx. Yeah, Foxx is better! The wicked step-mother of woe. Maybe Price got one of those calls from President Obama last night before the vote. The president was "whipping" Democrats to get them to vote yes, according to Rep. Maxine Waters, along with J.P. Morgan's chief executive Jamie Dimon, who was also whipping Democrats. When it comes to Wall Street, you can successfully whip some Democrats with wet noodles, let alone with CEO Jamie Dimon. The Democrat who comes out of this colossal cluster-f**k with her integrity intact is Elizabeth Warren, who highlighted what was transpiring and tried to rally the troops. Of course, the Senate will pass this bilge later today over her objections, but as a voice for the people, Warren's standing is only enhanced. It is no secret that the Republican power-base in North Carolina in mainly rural. The cities generally vote Democratic, and the Republican-dominated General Assembly has shown every willingness to punish certain cities for that sinfulness. RALEIGH — A redistribution of local sales tax revenue to benefit poor counties is on the agenda for legislative leaders preparing for the session that begins in January. At a lunch Wednesday sponsored by the N.C. FreeEnterprise Foundation, Senate Majority Leader Harry Brown talked about shifting local tax revenues to help rural counties. Shades of what Nathan Miller and the Watauga County Commission did to Boone last year. There's always spite and revenge running deep under any professed concern for the plight of The Rural, and there is a plight of The Rural that needs to be addressed. 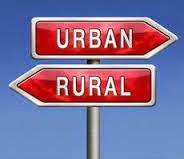 It just needs to be attended to without crippling the urban economic engine that lights the lights. If you redistribute income tax from the wealthy to the poor that is socialism and punishing the successful. But when you take money from successful counties and give to your poor county, that is considered good tax policy? Well no one said conservatives were consistent. Why Is This Woman Laughing? Nicole Wallace was President George W. Bush's chief of communications, and now she's a regular panel member on MSNBC's Morning Joe. Yesterday, with the Senate Intelligence Committee’s so-called torture report still hours from public release, Wallace had an emotional tantrum at the very thought that anyone -- well, "liberals" mainly -- would object to what went on during her former boss's regime. So Wallace led off her tantrum, waving the bloody flag of 9/11: "In the history of this country, I think months after 9/11, there were three people who we thought knew about imminent attacks and we did whatever we had to do.” Three people? Not according to the report. Wallace then did what every conservative does, invoked God on the side of torture and "American exceptionalism": “I pray to God that until the end of time, we do whatever we have to do to find out what’s happening.” It was “asinine” and “dangerous,” she added, to claim that systematic torture “makes America less great,” because God, as we know, supports everything our exceptional nation does. All that matters, Wallace argued, is whether torture “help[s] us kill people who want to kill us.” But liberals, she complained, want to focus on “political correctness” — i.e., not committing war crimes. “I don’t care what we did,” Wallace ended, thus admitting, inadvertently and unnecessarily, that she didn't know what she was even talking about. I don't care what we did. That statement effectively sums up the public stance of her former boss, not to mention his cumulative intellectual acuity. It also sums up, apparently and unfortunately, the limpness of the Obama administration's decision not to prosecute anything done during the previous administration, from bank fraud to "rectal feeding" of prisoners. Let's bring I don't care what we did into the present tense: I don't care what we do. Obama pursues his drone-attack program, with all its lovely collateral damage, as though six, seven years from now another Senate Intelligence Committee report won't be detailing how heinous it all in fact was. Long, in-depth article published yesterday in the Asheville Citizen-Times delves into the politics of the minimum wage in North Carolina. Over half of the states have already raised the minimum wage (West By-God Virginia among them, for Christ's sake), but introduce that idea to the General Assembly in Raleigh, and all you get are icy stares and the occasional loud guffaw. Not gonna happen in North Carolina, not with this current bunch running things, since their understanding of good ole American capitalism is that some people -- actually, many people -- need to be starving or at least perpetually hungry to guarantee a large and docile workforce to clean those toilets and mow those lawns. Many cities across the land have also acted to raise their own local minimum wage, and some North Carolina cities, including Asheville, would love to follow suit, but as you should know, there is no "home rule" in North Carolina. All decision-making of any significance is centrally located in the General Assembly, which enables it to take away Boone's ETJ and Asheville's water system and to deny any North Carolina town from raising the local minimum wage. Because Republicans believe in huge centralized power rather than local control. Because Republicans believe in the dignity of work and in a living wage. 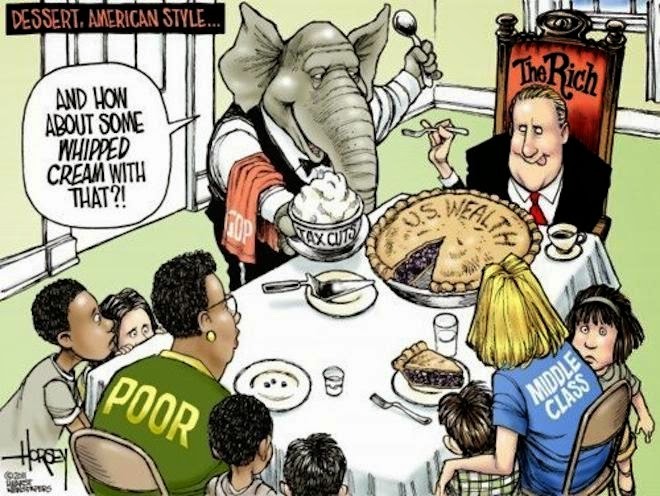 Because Republicans have the welfare of the little guy always uppermost in their minds. Could the Guv be any more uncomfortable? Photo WRAL. 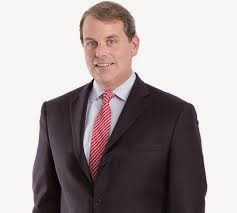 Breaking News: John Skvarla, the man Gov. McCrory put in charge of the NC Department of Environment and Natural Resources (DENR) and who then subsequently presided over Duke Energy's coal ash debacle, is OUT at DENR and will instead take over the Department of Commerce, because his industrial toadying will fit in better there. McCrory never fires anyone. He just shifts them around in various jobs, hoping one of them will draw less press scrutiny. Skvarla, incidentally, believes that oil/gas are renewable resources (yikes), and he's a climate change skeptic. He'll fit right in with the Commerce Department! Meanwhile, over at the Department of Health and Human Services, and after 18 months of waiting since the General Assembly passed a new abortion law mandating stringent new rules on abortion clinics, the new rules have been published, and ... meh. Apparently, no clinics will have to close because of them. The N.C. Department of Health and Human Services’ proposed regulations were formally published in the state register Monday. That begins a process of public comment before the final regulations are adopted. If 10 or more people object, which is common with a controversial set of rules, then the General Assembly will have to make a final determination, and the abortion debates would begin again in the House and Senate. Makes one wonder, though, if this isn't another one of McCrory's gestures of moderation. He had promised as a candidate that he would do nothing to make abortion more difficult in NC. Then he up and obediently signed the General Assembly's extreme new law. Now his DHHS goes all wobbly over the new rules. Skvarla out at DENR ... abortion clinics allowed to continue in service ... what's next? Surprise, Lee County! You Get Millions of Tons of Coal Ash for Christmas! Lee County, NC, is high on the target list for immediate fracking for natural gas. Now it's also about to receive a snoot full of Duke Energy's coal ash. Are the citizens happy? Duke Energy wants to put millions of tons of its precious coal ash into open-pit clay mines in both Lee and Chatham counties. Duke Energy has put in its applications for permits to its wholly owned subsidiary, the NC Department of Environment and Natural Resources (DENR), which is sure to approve them. Some slick Duke Energy boys in expensive suits showed up earlier this month at a Lee County Commissioners meeting in Sanford and reassured the folks that everything was copacetic, that there was no danger, that ... blah blah blah. According to WRAL, the crowd of citizens who showed up to hear Their Slicknesses weren't buying what Duke Energy was selling. Every single speaker in the public hearing spoke against putting coal ash into Lee County, and they chanted "shame on you" at the end of the public hearing. Incidentally, Republican Rep. Mike Stone, a great champion for fracking who represented Lee County, lost his seat to Democrat Brad Salmon in the elections just passed. So there's that. Right now we are facing one of the worst configurations of unchecked corporate power, militarism, market fundamentalism, and environmental crisis than at any time in our history, and the messaging coming from congressional Democrats right now appears to be that becoming Republican-Lite is the smart path forward. Meanwhile, what does (and did) the Democratic power players in Mugstomp-on-the-Potomac do, the Claire McCaskills, the Mary Landrieus, the Kay Hagans? Unlike the Republicans, Democratic politicians seem to always neglect the care and feeding of their own base. They’re quick to turn against any organized movement from the Left – be it Occupy Wall Street, the World Climate Movement, teachers’ unions, students’ organizations, environmentalists, or the protesters acting in solidarity with the African-American community in Ferguson, Missouri – yet all the while they expect to win their votes. Unless Elizabeth Warren or Bernie Sanders jumps into the Democratic primaries and caucuses and give the party’s base something to vote for, the Democratic constituencies will limp into 2016 just as uninspired as they were 2014. The Republicans’ cynical structural advantages they’ve institutionalized in recent years — infinite access to dark money, gerrymandered districts, voter suppression of minorities and young people – will stand rewarded and putting the brakes on the incessant move toward corporate oligarchy in this country will be even harder to fight back against. It may be slightly different in North Carolina, with a profoundly disappointing first-term Republican governor running against a power-house Democrat who does not yet appear afraid of his own shadow, unlike those national party types. Aqua North Carolina, a private corporation and a subsidiary of a bigger Pennsylvania company, managed to buy municipal water systems in 52 of North Carolina's 100 counties, mainly because local governments, led by people who had no foresight or vision of the civic compact, did not want to fund infrastructure and upkeep for the greater good. Now see what's happening. Privately owned water resources for urban and suburban communities. 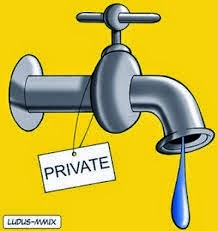 Water sold to citizens for profit, not for the civic good. What could possibly go wrong? Aqua North Carolina convinced the North Carolina Utilities Commission, now under control of the Privatization Brigade in Raleigh, to allow them to increase prices they charge for water (often clouded with sediment and smelly, according to customers) without going through the full cost-increase approval process, which would allow for customer push-back. No, the Utilities Commission decided it could allow for "smaller, more frequent rate increases" while cutting out the public's ability to protest. Thank God for Attorney General Roy Cooper. He is now suing the Utilities Commission for that particular power-grab (really, for being the hand-maidens and enablers of the water bandits). Gawd only knows how the state's Supreme Court will rule. It's a fine day in North Carolina when a company like Aqua North Carolina becomes the sole source of water for 250,000 of our citizens, and the state's Utilities Commission allows them "small, frequent rate increases" while silencing the public. 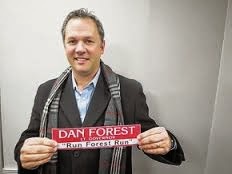 Lieutenant Governor Dan Forest will be celebrating the Christmas season with a high-dollar fundraiser ... for himself. A week from Thanksgiving in Charlotte, Dan will shake your hand and get his pheromones all over you for the measly starting sum of $500. For $5,000, you'll get nuzzled, "before a general reception that will include people who give less." If this ain't a slick politician and arch conservative getting ready to primary a weak sitting governor in 2016, I don't know what it is. Pleasant Turkey Day, Gov. McCrory! With Thom Tillis gone on to glory in Mugstomp-on-the-Potomac, NC House Republicans met yesterday to nominate a candidate to take Tillis's former post as Speaker of the House. 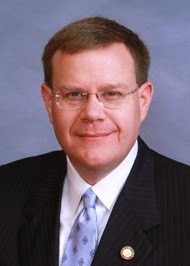 Rep. Tim Moore of Cleveland County won on the first ballot against five rivals. He's a lawyer. He's a Southern Baptist. He doesn't have his name on a lot of crazy legislation (though, of course, he always voted with the majority on a long list of bad laws since 2011, so there's that). He looks very "establishment," which in North Carolina in this year of our Lord is conservative enough. The only thing that might prevent Moore from being elected to the speakership (election by the full House will happen in mid-January) would be a behind-the-scenes deal struck between the Democratic minority and a Republican rival to Moore who could get at least 15 other Republicans to buck the caucus. Doesn't seem likely. Congresswoman Virginia Foxx issued a statement on President Obama's executive action on immigration. Considering her own personal history and the way she has benefitted financially from Hispanic immigration (like here and here and here and definitely here), we feel embarrassed for her ... since she's clearly incapable of feeling embarrassed for herself. Personal message to Virginia Foxx: if President Obama is violating the Constitution, then why don't you and your chums in Congress impeach him? Otherwise, you're just blowing rancid smoke. Last night was Nathan Miller's last meeting as a voting member and Chair of the Watauga County Commission. We found out that he had some unfinished grudges. The Watauga County Planning Commission presented its recommendations for a 90-day moratorium on certain development in the Boone extraterritorial jurisdiction (ETJ) while the Commission grapples with what regs will best serve the residents there. The motion to hold a public hearing on a 90-day moratorium -- a public hearing only -- eventually passed 4-1, with Miller casting the lone nay vote. Miller made it abundantly clear that he didn't want any special protections for the former ETJ, so he didn't see any point in a public hearing. Miller declared that the recent election was the only "referendum" that mattered on Sen. Dan Soucek and Rep. Jonathan Jordan's law in Raleigh denying Boone its ETJ. The people reelected Soucek and Jordan … so there! The people therefore obviously supported the Soucek/Jordan action against Boone, according to Miller. The fact that Jordan didn't carry Watauga County at all and Soucek only won Watauga by 213 votes would appear to undercut Mr. Miller's "referendum" argument. Commissioner Billy Kennedy pointed out that he got more votes in Watauga than either Soucek or Jordan, so by Miller's curious logic, the county might be a good deal more progressive than Miller wants to believe. Commissioner John Welch was also not buying Miller's argument. Welch pointed out that this was a low-turnout election, so trying to claim a mandate for wide-open, wild-west, steep-slope & high density building -- an issue that actually wasn't on the ballot anywhere -- was misguided. The Planning Commission had held three community meetings in the ETJ area, seeking citizen imput about what planning regs would most protect their homes and quality of life. Miller and fellow Republican commissioners David Blust and Perry Yates made a belly-aching show of grief that only 125 citizens -- out of more than 3,000 (probably) who live in the ETJ -- came out to those community meetings, proving -- evidently -- the people don't care what now happens in the ETJ. Welch directed a question to Watauga Planning Director Joe Furman: "What percentage would you say, of those who attended those meetings, were in favor of keeping the existing development rules in the ETJ?" Welch turned to Miller. If you want to base assumptions on low turnouts, he said, why isn't that 80% as important as the election results? There was something like a shouting match after that, with David Blust smugly declaring to Billy Kennedy that he had only won his reelection in tiny little Boone and hadn't won otherwise in the vast Watauga County landmass. Meaning, we have to assume, that in Blust's eyes a vote in Beaver Dam is worth two in Boone, or some such nonsense as that. Otherwise, we think the "one person one vote" principle still rules our democracy. Anyway, there will be a public hearing at 6 p.m. on December 16 on whether the county will adopt a 90-day moratorium on certain development (only the specific items governed by the county's existing High Impact Land Use Ordinance) until the Planning Commission can study and write an ordinance governing the former ETJ. By December 16 there will be a new man presiding as chair of the County Commission … though not necessarily a new political philosophy. It's still a 3-2 Republican majority on the commission, with no significant history of differing very much from "Millerism." There are times -- really, most of the time -- when the stupidity of Senator Soucek just leaves you speechless. You Can't Eat It Or Drink It, But You Sure as Hell Can Pay for It! The hand-picked ... is stooges too strong a word? 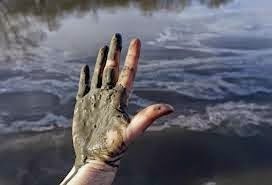 ... the hand-picked appointees to North Carolina's new Coal Ash Commission have generously decided that you and I and every other rate-payer in North Carolina will have to bear the cost of the coal ash cleanup that billion-dollar corporation Duke Energy should pay for but doesn't want to. Perfect example of the privatization of profit and the socialization of costs, the only brand of socialism that conservatives seem to love. Oh, you chose those Coal Ash Commissioners by choosing their puppet-masters in the North Carolina General Assembly. You did it. Now choke on it. House Minority Leader Nancy Pelosi has chosen New Mexico Congressman Ben Ray Lujan to head the Democratic Congressional Campaign Committee, the very important "chief campaigner" position that recruits congressional candidates and raises money for the 2016 races. Lujan is Hispanic. His father was Ben Lujan, who once served as speaker of the New Mexico House of Representatives, and his cousin is Rep. Michelle Lujan Grisham, another member of New Mexico's congressional delegation. Who knows if he's the right person for this job, but he's young, he comes from a political family, and he seems to represent a grassroots rather than a Wall Street approach to the direction the party needs to take. Phil Berger: Why Is This Man Grinning? 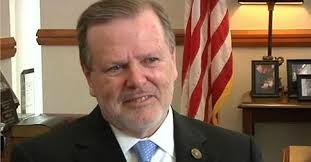 This man, Phil Berger (R-Rockingham), Republican leader of the NC Senate ... sez he's still opposed to Medicaid expansion in North Carolina. 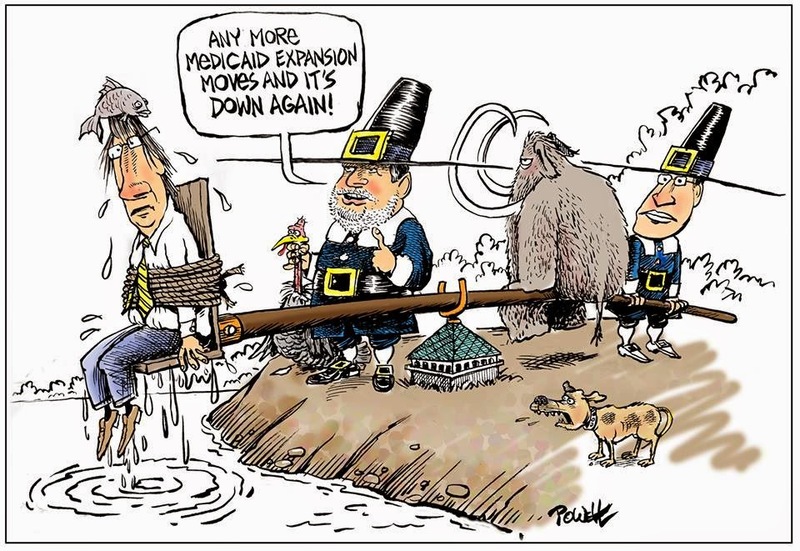 So federal taxes paid by North Carolina residents will continue to help expand Medicaid coverage in other states, while some 500,000 poor and the elderly continue to sicken and suffer without help in North Carolina. If Berger is "agin it," it won't happen. Doesn't matter what Governor McCrory wants to do. He's a paper tiger. Doesn't matter what Thom Tillis said about reconsidering it. That was just a sop thrown over his shoulder as he decamped for Mugstomp-on-the-Potomac, the Emerald City. Phil Berger ... the Father of Suffering. 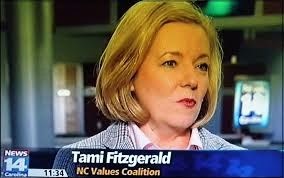 This person, Tami Fitzgerald, head of the NC Values Coalition, chief anti-gay cheerleader, and enthusiastic demon-hunter, blistered Governor Pat McCrory because he said he would take no action to fight a Federal judge's overturning of North Carolina's anti-gay marriage amendment. Closets are for furs and gay people. Look it up! If anyone is going to overreach her power, it's going to be me! Guess the Guv will be taking a plate of cookies to Tami Fitzgerald. No coverage in any local press we've seen of this interesting reversal of election night final numbers. Following the canvass of the vote yesterday by the Watauga County Board of Elections, Josh Brannon won Watauga County by two votes. In Forsyth County, whose local Board of Elections is wackier if not as out-and-out corrupt as Watauga's. Our own dyspepsia with the Obama administration grew after January 2009 the closer to Wall Street the president cozied up. The damping down of economic populism throughout the Democratic Party, from the top down, is at least partly to blame for the following recent developments: the electoral losses in 2010 and 2014, the blossoming of the Tea Party, and the Occupy Wall Street (and everywhere else) movement. Some of us believe that the loss of our populist edge is largely to blame for those displays of discontent. Do you hear the loud smacking of lips coming from the canyons of Wall Street at the prospect of a Hillary Clinton candidacy? Yes, it's drowning out progressive and populist groans at the thought of even more sell-outs to the bankers and the other "lords of the universe." That's why the Elizabeth Warren talk isn't going away. She looks very much like the best potential candidate, with plenty of economic smarts and a toughness of spirit. Hillary is stale bread compared to Elizabeth. 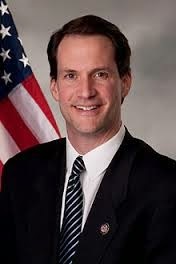 Now comes news that the leading contender to become chief Democratic campaign operative, candidate recruiter, and fundraiser for the Democratic Congressional Campaign Committee (DCCC) is a former Goldman Sachs vice president and hedge fund suckup, Jim Himes of Greenwich, Conn. Nancy Pelosi gets to make the appointment. Robert Kuttner asks, rhetorically, "So the last thing Democrats need going forward is an even closer affinity with Wall Street, right?" Goddamn it all to hell if this comes to pass. The love of money is the root of all evil. I learned that in Sunday School. If the Democratic Party wants to become fully irrelevant, or merely the semi-official handmaiden to the billionaires (which is essentially what it's been for the last six years), then by all means, Nancy, signal your abandonment of the people by the appointment of Jim Himes as head of the DCCC. Apparently, Thom Tillis, newly elected to the U.S. Senate from North Carolina, has real style. He's also an arrogant martinet, according to both Republican and Democratic members of the NC House, who just woke up to the fact that Mr. Tillis ordered a $120,000 make-over of his former House chamber without talking to anyone. Because he could. Let's see ... Mr. Tillis will be up for reelection in 2020, a presidential election year when Roy Cooper will be running for reelection to the governor's mansion. "Gov McCrory on WFNC in Fayetteville, says he needs to talk w/ his wife before committing to reelection run"
O Where Are the Ebolas of Yesteryear? This map circulated widely prior to November 4 on Republican social media and right-wing websites. 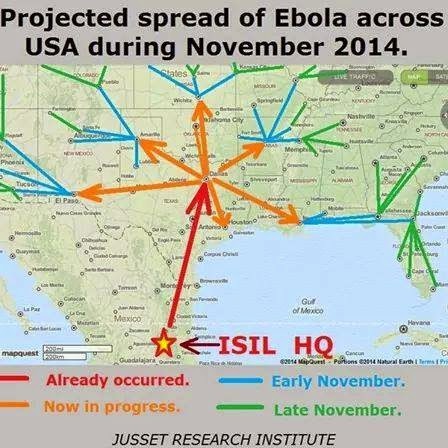 Please note that an Islamic State HDQs is confidently located in Mexico, wherefore the massive outbreak of ebola in Dallas. You remember that, right? There was always a master plan, don't you know, to take down the United States via an unstoppable disease. Standard Operating Procedure among the Republican brethren, who are much more motivated by fear and hatred than by any vision of effective government. Has Fox News even uttered the word "ebola" since the election? Do the low-information voters who bought into this crap even notice that the whole threat has simply evaporated? 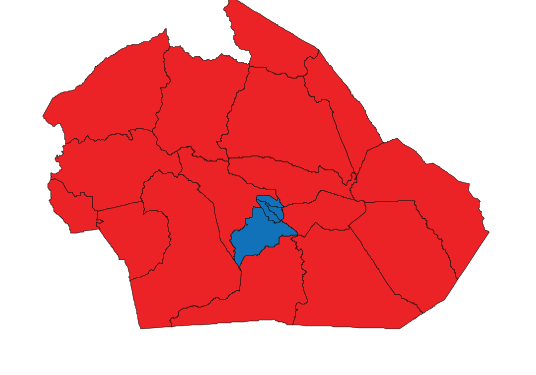 The Watauga Conservative published this map of Watauga County, showing the precincts in and around Boone that voted Democratic this week amid a sea of Republican red. Author "NewGuy" then suggested that Boone is a "cancer" at the heart of Watauga County. The direct quote: "We are a conservative county with a liberal cancer in it's center!" Which actually explains a lot about recent GOP activities. It explains why Rep. Jonathan Jordan and Senator Dan Soucek could decide to abuse their power and single out Boone for special punishment among all the cities of North Carolina. 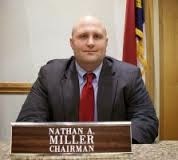 It explains why Watauga County Commission Chair Nathan Miller could abuse his power to deny Boone it's fair share of sales tax revenue. It explains why Stacy C. Eggers IV ("Four") would conspire with two Republican members of the Board of Elections to abuse their power and apply radiation to the "cancer," an attempt to shrink it down to a size that would fit in one Early Voting site. It also explains the brand of "Christianity" that the pious frauds over at the Watauga Conservative actually practice: if you remove the humanity of your enemies, reduce them to hated germs, then you can safely advocate for their extermination. You can also safely ignore the hundreds of Democratic and progressive votes in those other 16 precincts that NewGuy pretends to see as "pure" red. You can also conveniently ignore that Watauga County has swung decidedly Democratic as a whole in several past election cycles, and will again. But never mind. Let's play out the solution to having a "liberal cancer" in the heart of your real estate. Let's close Appalachian State University and scatter all those students to other cesspools of sin and exile those radical professors to states that might appreciate them. Yes, let's! Then we'll see how all you developers fare with your rental properties and your cash flow. While we're at it, let's shutter the Watauga Medical Center, since it's full of over-educated professionals who tend to vote Democratic. After you finish cutting out the "cancer," let's see what jobs, what economic opportunity, what prospects for the future are left to you cancer-free, short-sighted, and illiberal people.